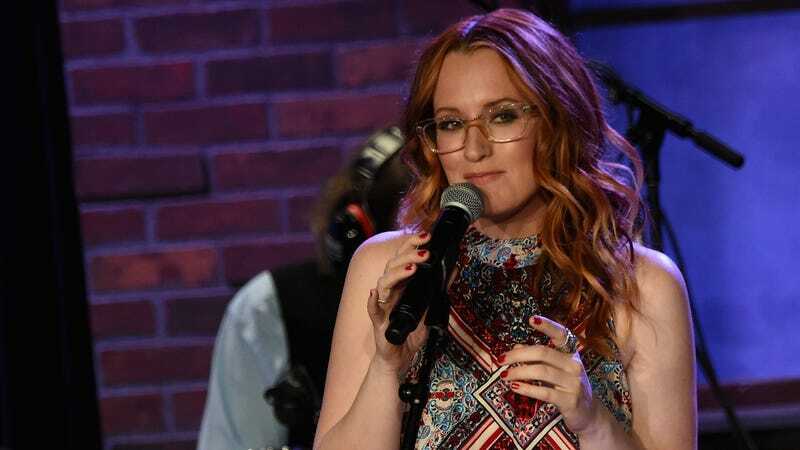 A lot of people think Stranger Things is pretty cool, but that doesn’t come close to how singer-songwriter Ingrid Michaelson feels about Stranger Things. According to Billboard, she’s such a big fan of Netflix’s retro horror show that she’s making an entire album about it called Stranger Songs. In a statement, Michaelson said that “finding your connection to another’s art” isn’t something she’s ever built an album around before, but she just feels “so inspired by the world Stranger Things has created.” Despite the spooky happenings on Stranger Things, Michaelson says, “this show brings me back to a place of safety and comfort when everything seemed simple,” adding that she initially started writing poems inspired by Stranger Things before she realized how “connected” she was to it. Michaelson says she hopes to release Stranger Songs around the release of the show’s third season, whenever that will be. There’s no word on how many retweets it’ll take for David Harbour to make an appearance on the album—possibly as some kind of Vincent Price-style spoken-word breakdown—but he’ll do anything for the right number of tweets.